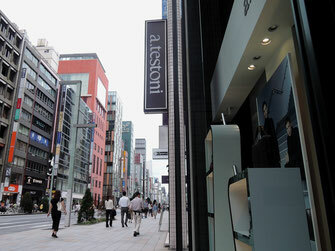 On a cloudy, unusally cool Saturday afternoon, August 30, 2014, my wife and I enjoyed strolling in Ginza, which is Tokyo's most fashionable and perhaps most expensive shopping district. Did you know that Ginza was once under the sea and was reclaimed in the early days of the 17th Century, during the Tokugawa Shogunate, which made Ginza a place for minting silver coins? 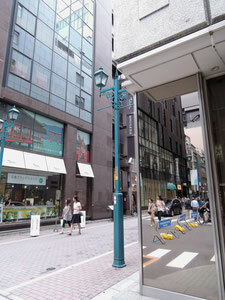 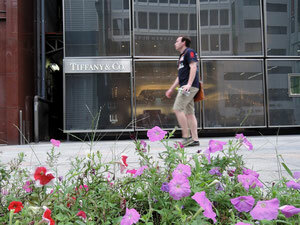 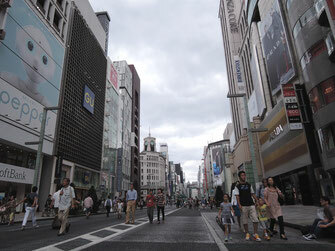 Located south-east of the imperial palace, the Ginza main street runs more than 1,000 meters. 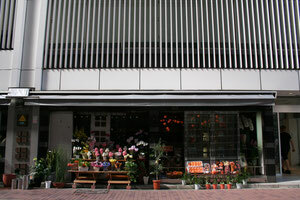 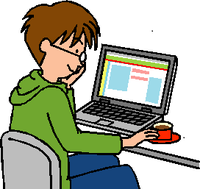 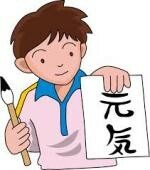 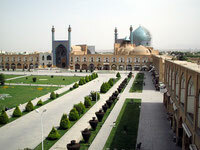 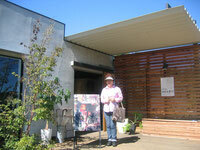 As expected, globally renowned shops are found here and there. 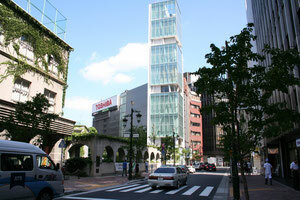 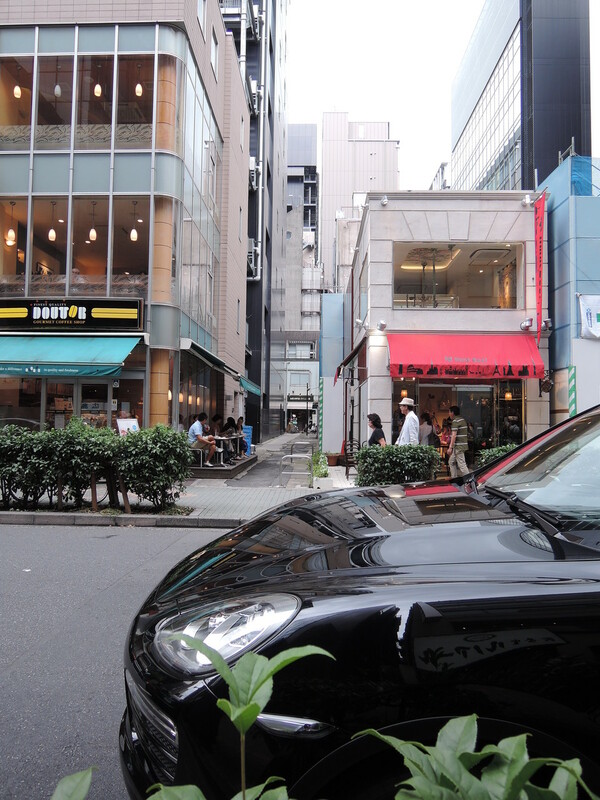 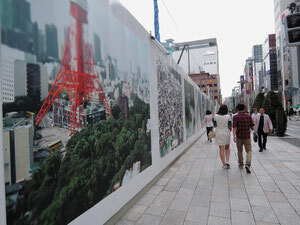 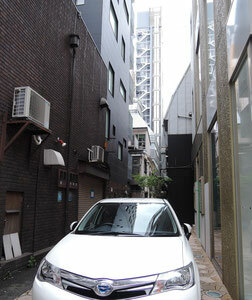 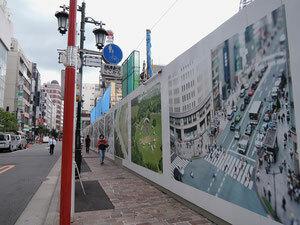 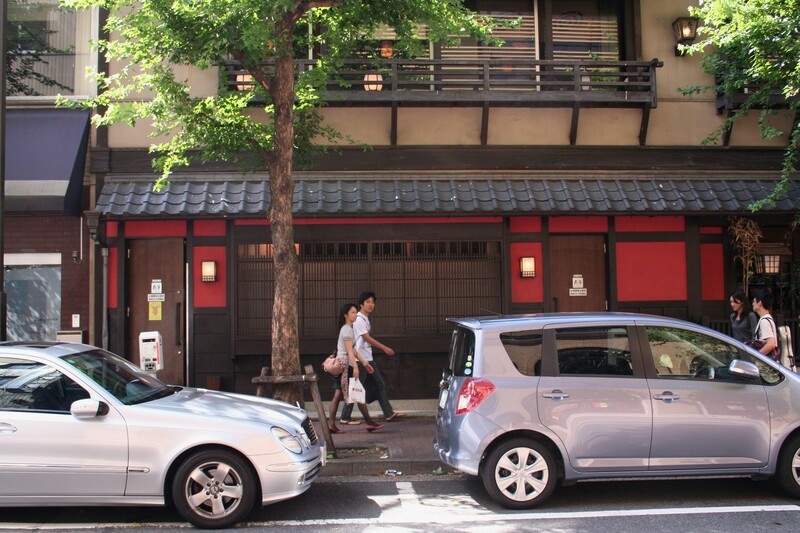 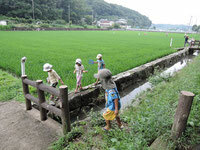 Incidentally, Japan's most expensive land lot is located along the street, at more than US＄290,000 per square meter! 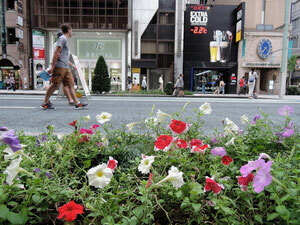 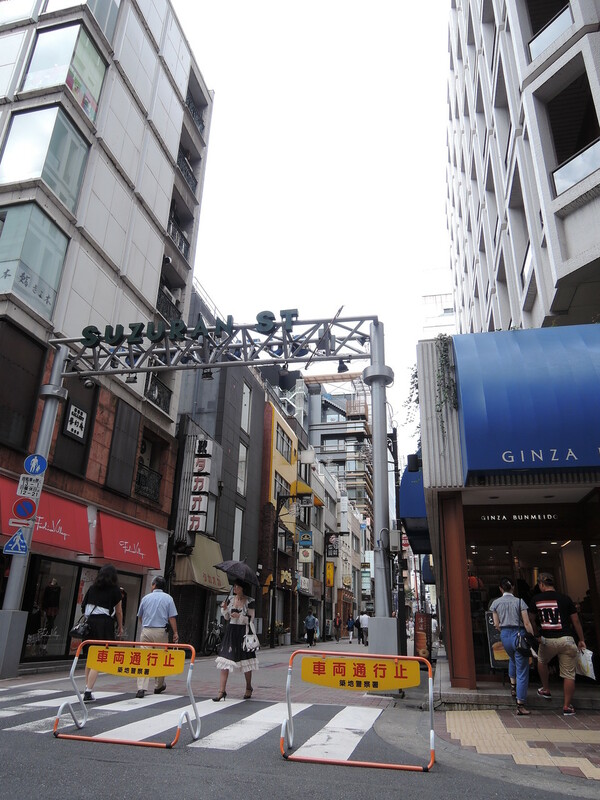 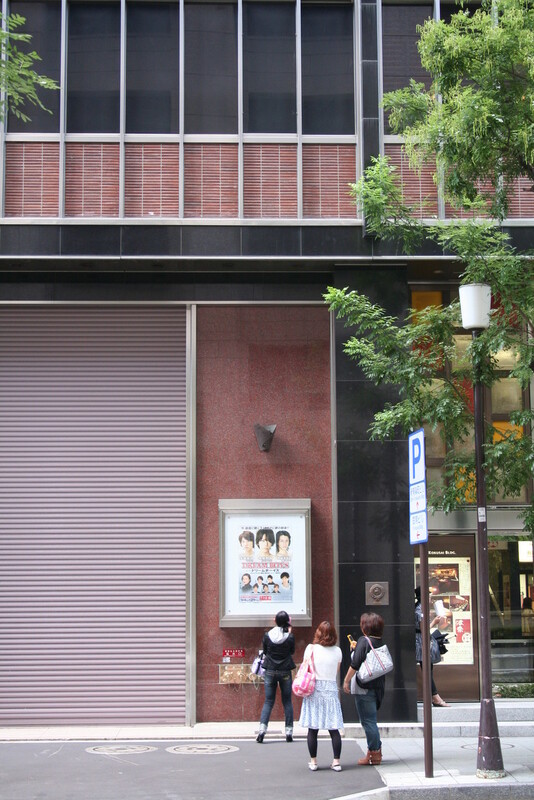 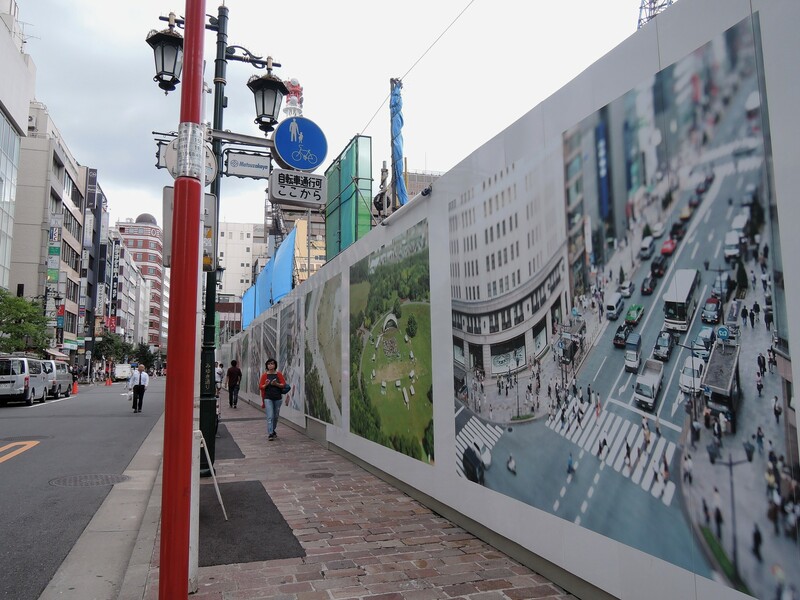 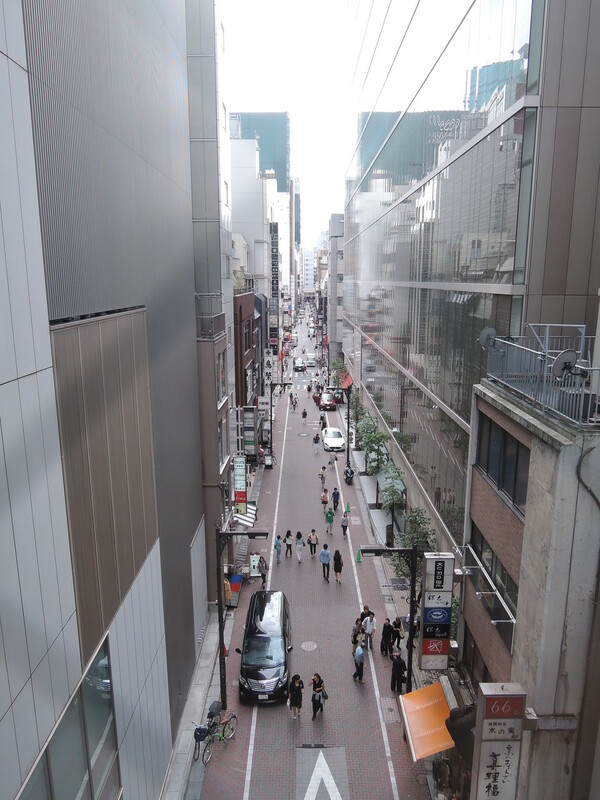 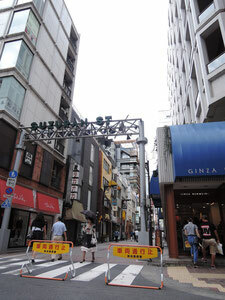 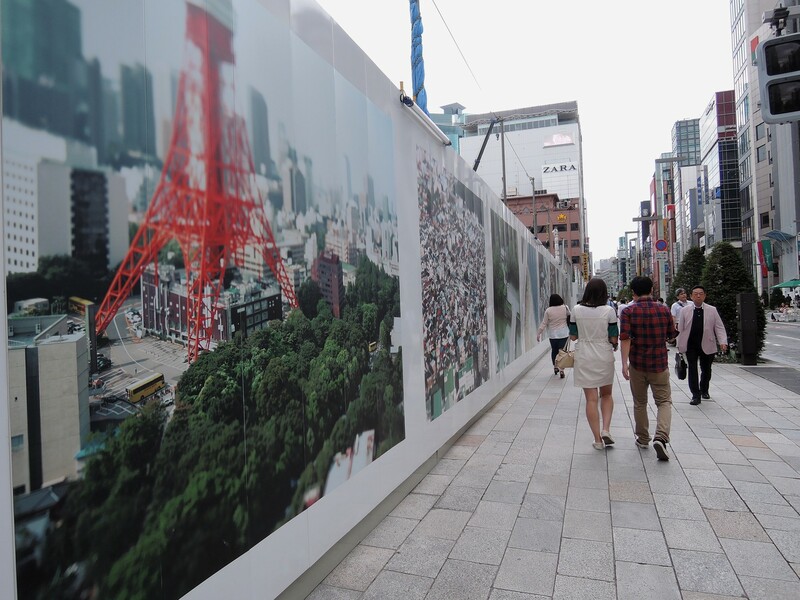 The Ginza main street becomes a pedestrian precinct on Saurdays and Sundays, from 12:00 to 18:00. 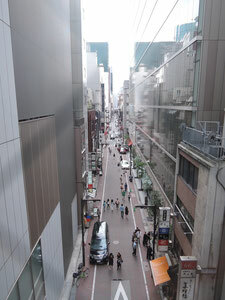 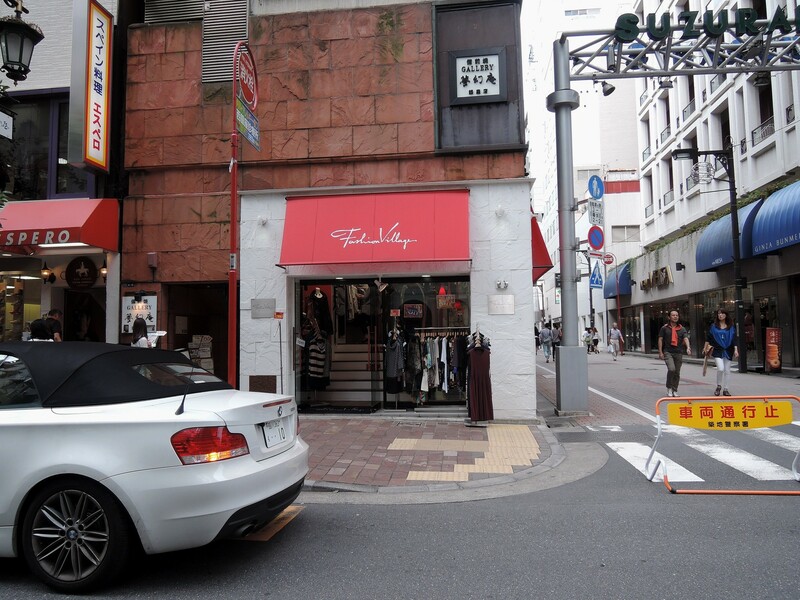 Perhaps the back streets in Ginza are more attractive because there are so many small but elegant and unique shops, restaurants, art galleries, bars, and of course exclusive night clubs amongst other attractions. 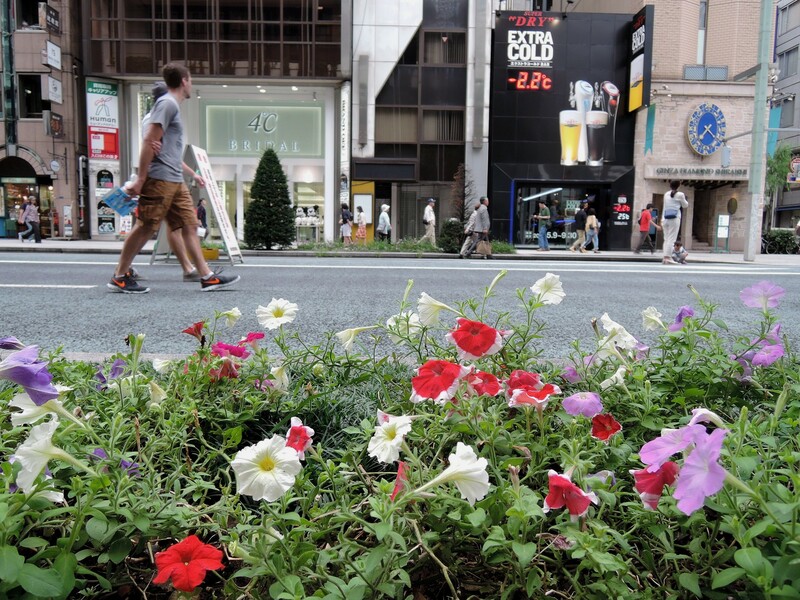 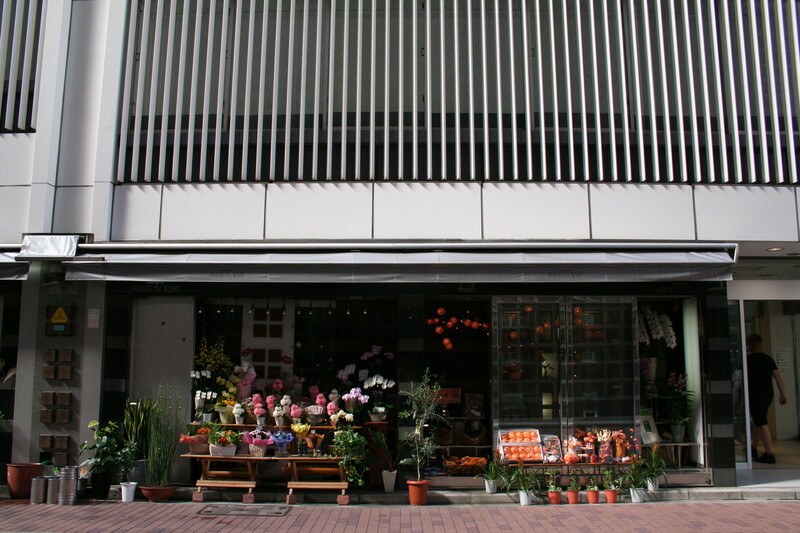 Surprisingly, there is "Ginza produced honey"; bees are kept on several rooftops and they collect honey from nearby parks, street blossoms, and flowers beds (like those along the main street as shown below). 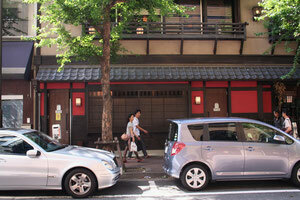 established in 1878. back streets.